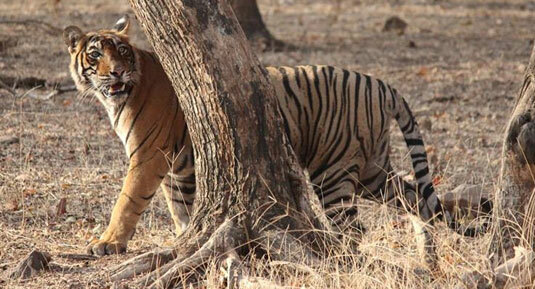 Planning a wildlife safari tour to Indian Jungles? 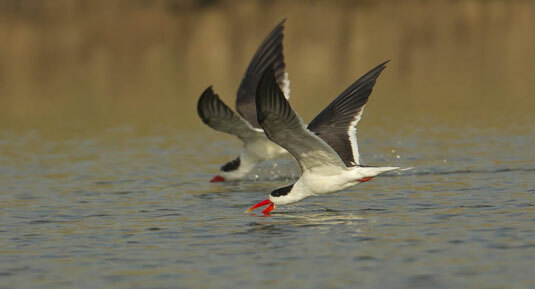 Want to give yourself a thrilling experience of rich Indian wildlife? 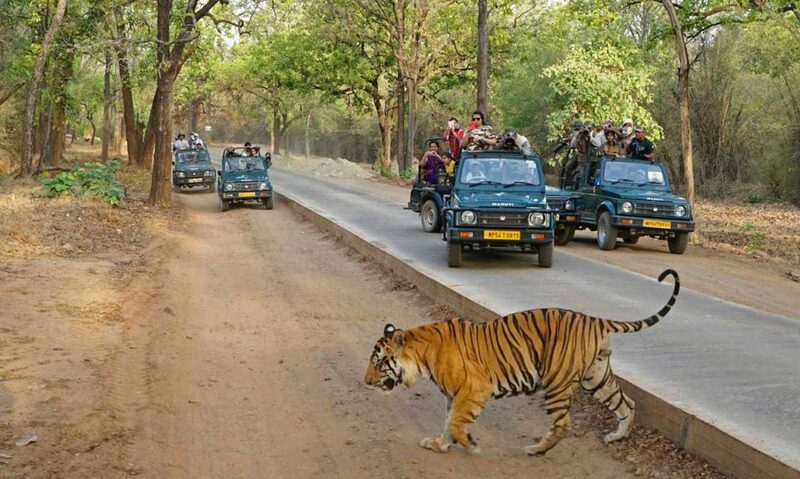 Than Safari trip to Corbett National Park will be the best treat for you. There is nothing like the excitement and thrill of a jungle safari as nobody knows what new sights and experiences that it offers. One of the great attractions of visiting India is that it is a country filled with fantastic wildlife sanctuaries and national parks where travelers can enjoy nature in the best way. Another attraction of this incredible country is that people can enjoy wildlife safari experiences in different landforms here such as denser forest, snow-filled areas, swamp or even in the desert. If you look for a wildlife safari in India, it may be difficult for you to choose the right destination from so many superb options. The Jim Corbett National Park can be a good choice for you if you wish to enjoy some fun-filled wildlife safari holidays. 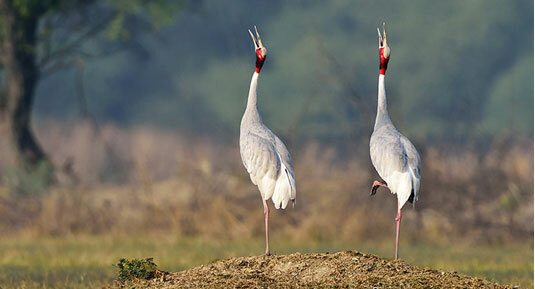 Each wildlife enthusiast to India prefers to go for a thrilling wildlife safari as it is one of the best experiences to spot wild animals, rich bird species and amazing flora in its natural environment. 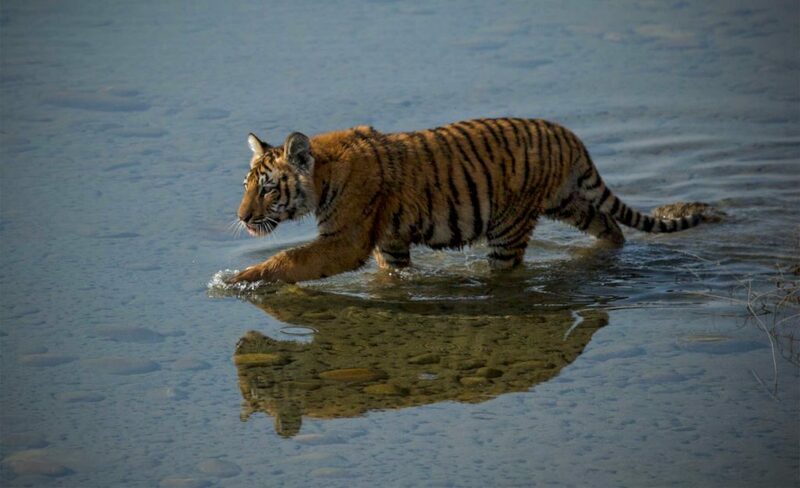 Visiting this Project Tiger Reserve in the Nainital of the Uttarakhand state shall be a wonderful experience especially if you are on a family holiday with children. This national park sprawls over an area of around 520 sq. km., comprising marshy land, grasslands, hills, and riverine belts. Visitors can find overnight stay in this national park. Each visitor shall be excited to opt for an elephant safari or jeep safari to move around the park to explore its exotic flora and fauna. You can enjoy a memorable and thrilling jungle safari in the Jim Corbett National Park through Colourful Indian Holidays. We ensure to design our jungle safari packages are filled with fun and excitement so that it will be a lifetime experience for each of our customer. 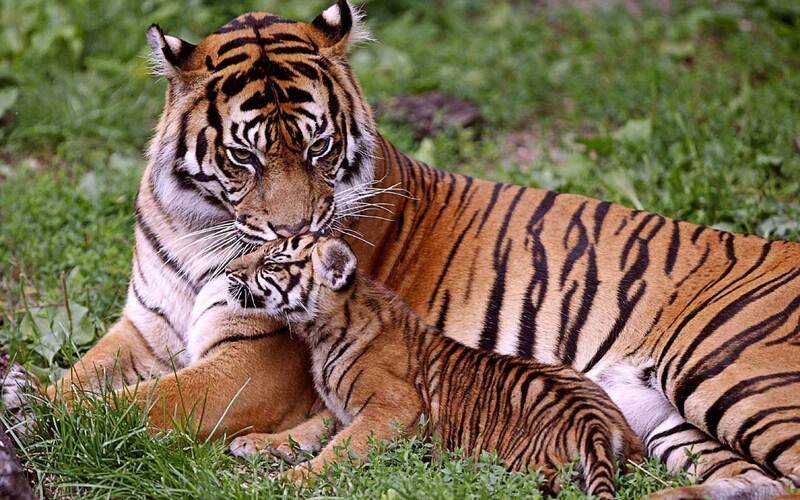 Royal Bengal Tiger, Elephant, Feline population(fishing cat, jungle cat, and leopard cat), Deer species ( Sambhar, Chital, barking deer and hogg), Himalayan Black Bears, Sloth bears Indian Grey Mongoose, Ghoral, otters, Langur, and Indian Pangolins. Main Alpine Flora: Sal forests, Khair Sissoo forests and Chaurs. A jungle safari in the Jim Corbett National Park will be a special experience, and you can make it more exciting and wonderful by keeping in mind a few tips. It is important to follow certain rules and tips to make it a safe and pleasurable experience. A jungle safari is adventurous and mind-blowing, but it is important to plan and execute it properly, otherwise, it can become a disaster. This 5-step guide helps you to make your jungle safari in the Corbett National Park one of the best, safe and memorable experience. The renowned Jim Corbett National Park is located in the Nainital district of Uttarakhand state near Ramnagar. This destination is well-connected by road and rail to almost all the major cities in the country. By Road: Well connected by road, reaching the Corbett National Park is pretty easy for travelers. They can catch buses from some of the major cities like Delhi, Nainital, Bareilly, Moradabad, and Lucknow. If you plan to reach this national park from Delhi, then you can take the direct bus from ISBT, Anand Vihar. Agra-Lucknow Expressway is the best suggestion for people who travel from Lucknow while NH 530 is recommended for those who travel from Bareilly. Travelers can take the Moradabad-Kashipur route or NH 309 to reach this park quickly from Moradabad. It is easy for people to find direct state-run buses to Ramnagar from destinations like Nainital, Ranikhet, Haldwani, Kausani, and Almora. 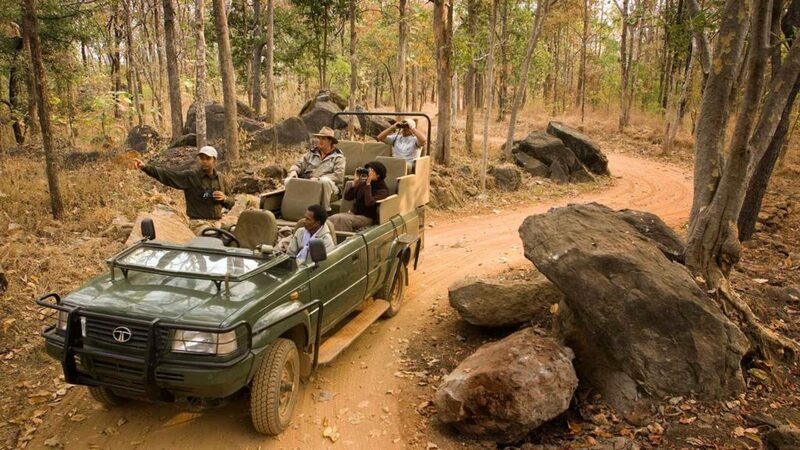 They can hire an auto from Ramnagar to reach the Corbett National Park. By rail: Travelers can book their ticket either in the Uttar Sampark Kranti Express or the Ranikhet Express to reach the Corbett National Park if they travel from Delhi. The closest Ramnagar railway station is almost 12 kilometers away from this park. 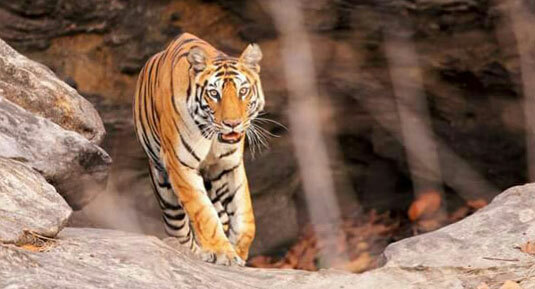 But many people prefer to reach Kathgodam railway station to reach this tiger reserve which is almost 3 hours away even from Ramnagar, but it has better connectivity with many major cities in the country. With the advent of the internet, it is pretty easy for travelers to book their hotel and safari and they can receive the confirmation of it instantly by email. Nowadays online booking facilities are available in all the nature parks and wildlife reserves in India which help visitors to avoid standing in long queues to book their safari tickets. Just like your safari booking, you can reserve your room in advance to explore the beauty of the park without worrying about finding the right accommodation. Numerous hotels and resorts are there around the Corbett National Park from budget hotels to luxurious one. So, it will not be a problem for the travelers to find the right accommodation in this destination based on their taste and budget. Jungle camps are also available on the premises of this park suitable for those who look for a unique travel experience. If you look for accommodation in the Forest Rest Houses of different zones, then it is important to book in advance. 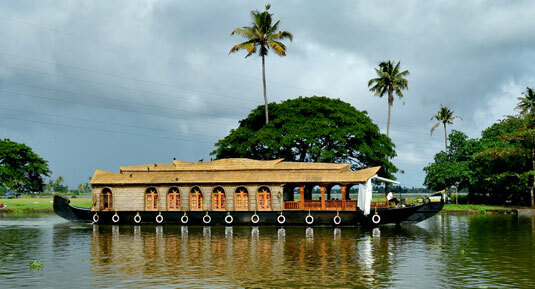 The availability of rooms in them is based on the will of the Forest Department. If you are on a family vacation, you can opt for a kids-friendly hotel to stay. If you are looking for a wildlife safari holidays in the Corbett National Park, book your safari in advance to avoid the last minute hassles. By booking your safari in advance, especially if you plan your trip in the peak season, you can avoid waiting in a long queue outside the ticket counter. One of the great advantages of the Corbett National Park is that it offers three wildlife safari options such as the elephant safari, jeep safari, and canter safari. Travelers need to take permit to enjoy safaris in this park. 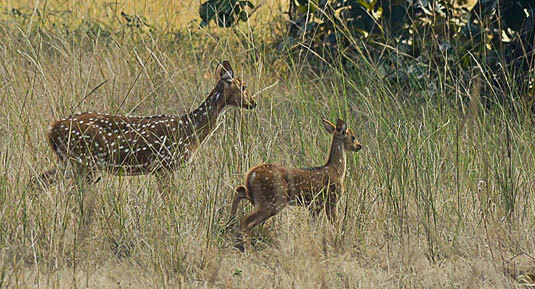 The Corbett National Park offers two types of permit for safaris. 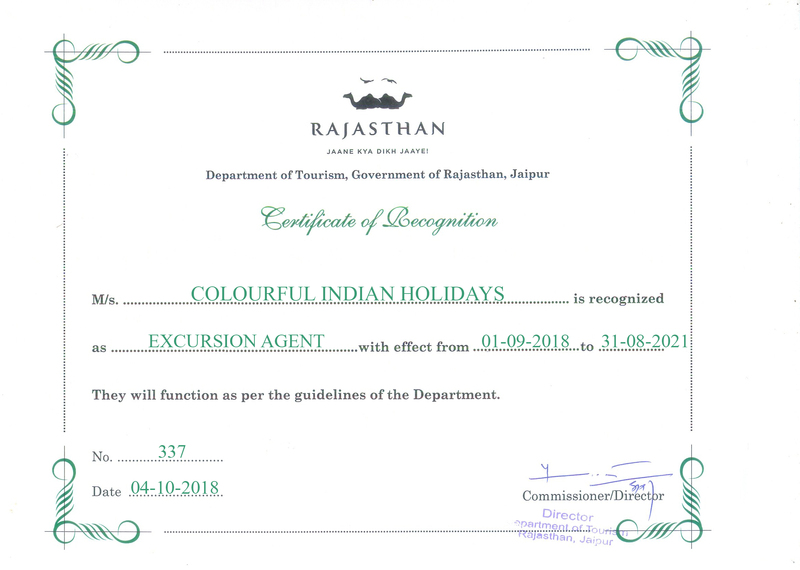 A day-permit can be obtained it at the entrance of this park while you can request or book online if you opt for a Forest Rest House Permit for a safari at the Corbett National Park. Elephant Safari: Exploring the mesmerizing wild forests of the Jim Corbett National Park shall be a beautiful experience for each visitor. Opt for an elephant safari in this park to explore its wild jungles, stunning valleys and exotic flora and fauna of the oldest park in India. 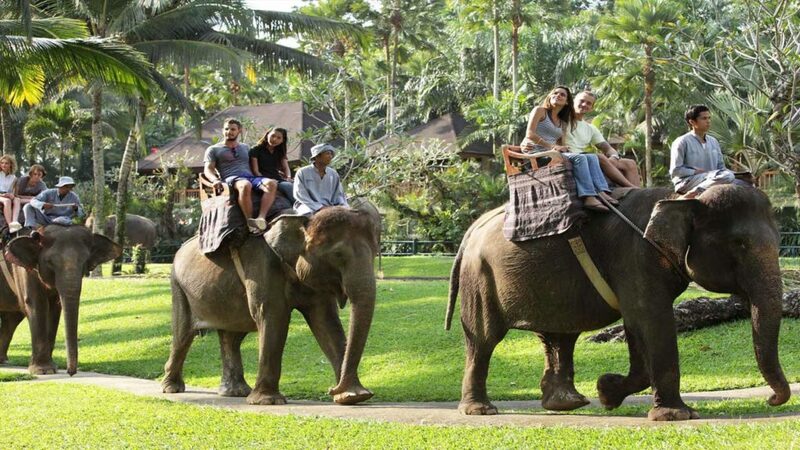 With the help of a trained mahout, you can explore this picturesque national park on the back of an elephant. The elephants follow a designated path in this park so that visitors can explore all the areas of it to spot wildlife, birds, and reptiles. 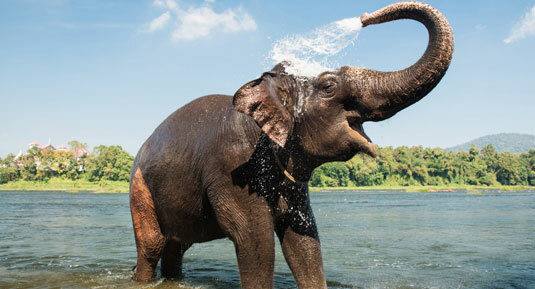 Even if this park has different zones, elephant safaris are allowed only in Dhikala and Bijrani zone. Contact Colourful Indian Holidays to book your joy ride on the back of an elephant in the Jim Corbett National Park. Jeep Safari: Known for amazing flora and fauna, exploring the renowned Jim Corbett National Park can be a dream for many wildlife enthusiasts and nature lovers. A jeep safari is the best way to get close to the exotic flora and fauna of this tourist destination. Even though this park can be visited throughout the year, the best time to explore it is from Mid-November to June when the weather becomes more pleasant. Some zones like Dhikala and Bijrani remain closed during the monsoon season because of the roads in these areas get inundated. Canter safari: Even if the Jim Corbett National Park is famous for amazing wildlife safaris, canter safari can be enjoyed only in the Dhikala Zone. Besides, this park allows only two canters at a time inside it. One canter can accommodate 16 passengers. Be it a jeep safari or canter safari, consider your prime interest before deciding a safari such as spotting tiger or bird watching. 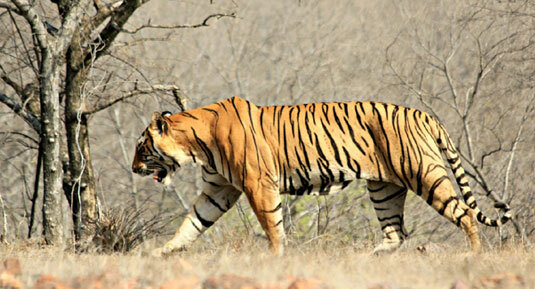 Best Zones for the safari: The Corbett National Park offers five different safari zones and one zone outside the park. These zones are the Dhikala Zone, Bijrani Zone, Jhirna Zone, Durgadevi Zone, Dhela Zone and the Sitabani Zone (outside the park). 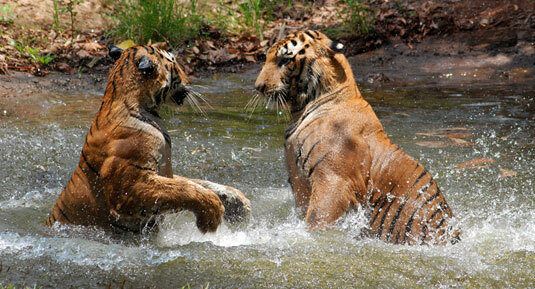 The Dhikala is the most visited zone in the park where you will get the best chances to spot tigers. Even if both the Dhikhala and the Bijrani are equally best for spotting these big cats, many people prefer Dhikala zone for the safari. The only zone that can be visited throughout the year is the Jhirna while all other zones in the park get closed during the monsoon months. Many nature lovers prefer to visit the Sitabani zone because of its picturesque landscape. 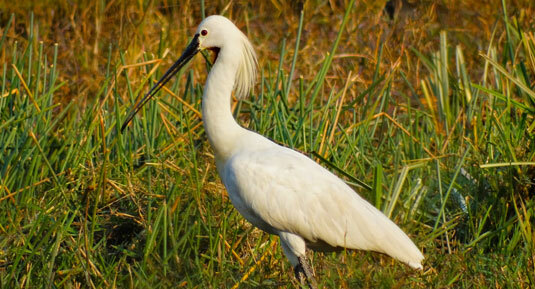 If you plan a safari in the Jim Corbett National Park, then the early morning is the suitable time for that. 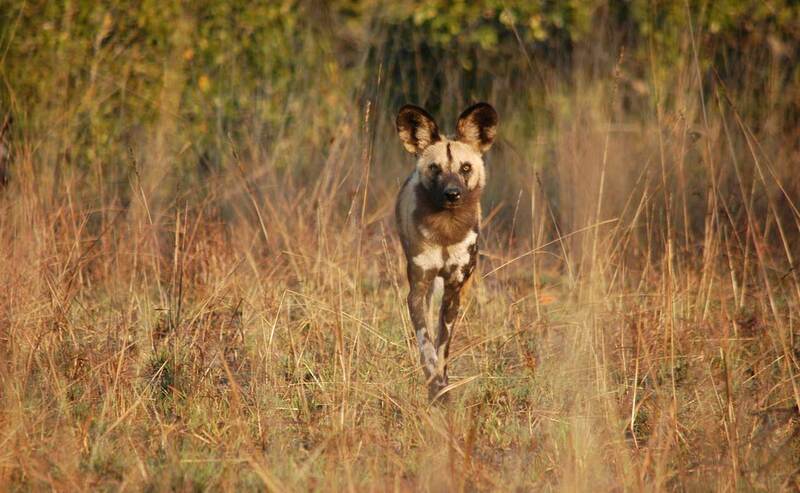 You can spot varieties of animal species during this time, especially nocturnal wildlife. It does not mean those evening safaris in this park are bad, but it also offers excellent chances to spot different animals and birds. A safari in this park usually lasts for 3 hours, and you can explore a complete zone by opting for a 3-hour safari. The morning safaris in all the five zones of the Corbett National Park start at 6.30 am and end at 10 am while evening safaris start at 1.30 pm and end at 5.30 pm. The morning canter safari in this park starts at 5.30 am in the summer and 6 am in the winter while it ends at 11.30 am and 12 pm respectively. Evening canter safari in summer starts at 12.30 pm and ends at 6.30 pm while it starts at 12 pm in winter and ends at 5.30 pm. Although the main aim of planning a trip to the Jim Corbett National Park is to explore the wonderful flora and fauna of it, travelers love to visit the nearby tourist attractions or indulge in some of the best activities that this destination has to offer. One of the great attractions of this national park is that it offers many other interesting things to do apart from enjoying a safari in the park. Many people prefer to enjoy a bit of rafting in the lovely Kosi River that flows through the boundary of this wildlife reserve. This river is also suitable to enjoy River Crossing or Bridge Slithering. Travelers can also find plenty of adventure activities like mountain biking, rappelling or rock climbing at the periphery of this national park. If you look for some exciting recreational activities, then enjoy a bit of fishing or angling in the Upper Ramganga River of this park. 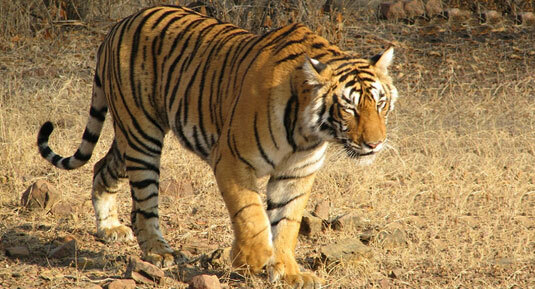 The ideally located Jim Corbett National Park is also suitable for a fantastic sightseeing tour. 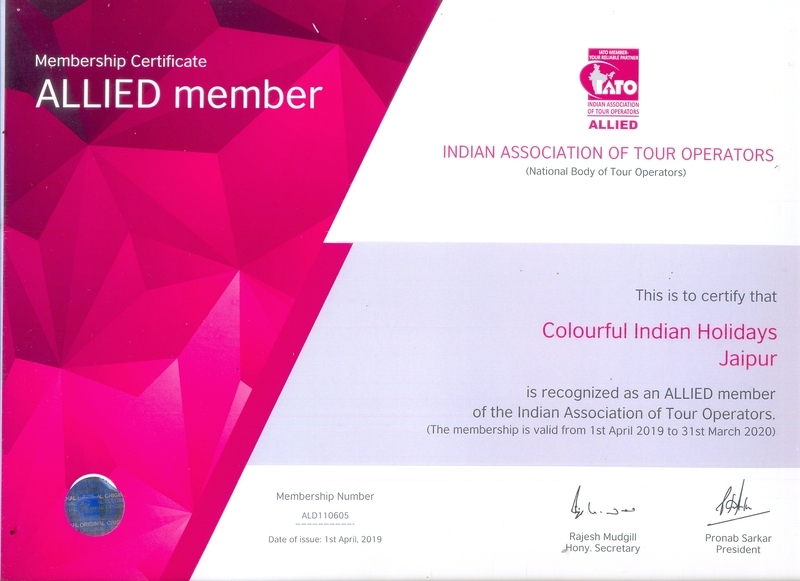 Some of the best places to include in this tour include the Corbett Falls, Jim Corbett Museum and the Garjia Temple. Nainital is a beautiful tourist destination where you can find plenty of awe-inspiring travel places to explore to make your trip to this region an unforgettable experience. 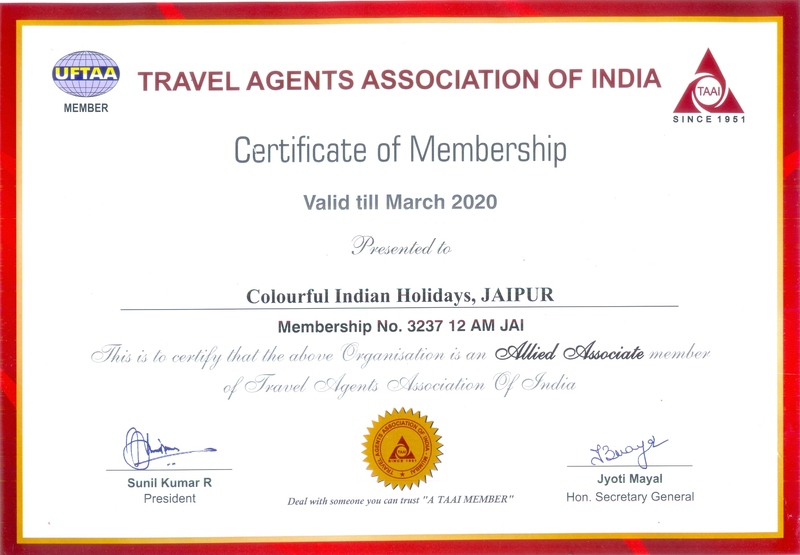 Take the service of a good travel agent like Colourful Indian Holidays if you look forward to a relaxing and hassle-free wildlife safari holidays in the Jim Corbett National Park. 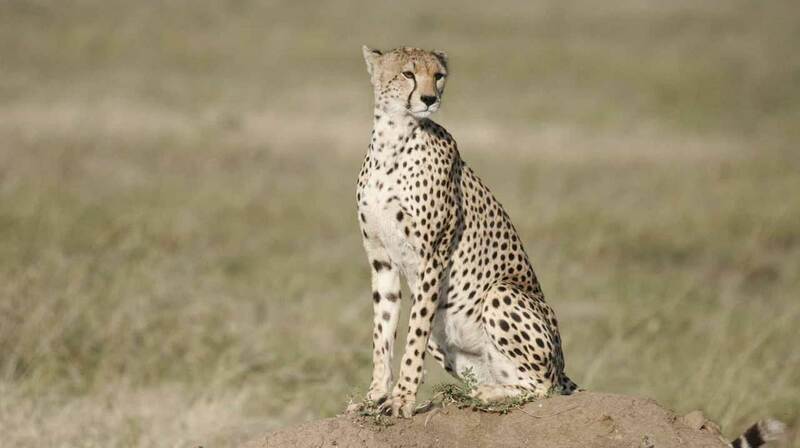 A good travel agent takes care of your holiday plan and helps you to enjoy your wildlife safari a memorable experience. Nowadays most of the holidaymakers rely on travel agents to plan their holidays because they have deep knowledge about the popular destinations in the world. What all you need to do is to give the details of what you expect in a vacation. They not only help you to plan your holidays but continue to help during the entire trip to make it comfortable. You can choose one of the carefully designed wildlife safari packages to the Corbett National Park to have a vacation of your dream. Of course, hiring the service of travel agent costs money, but expert tour operators can help you to find the best deals and save both your time and money. 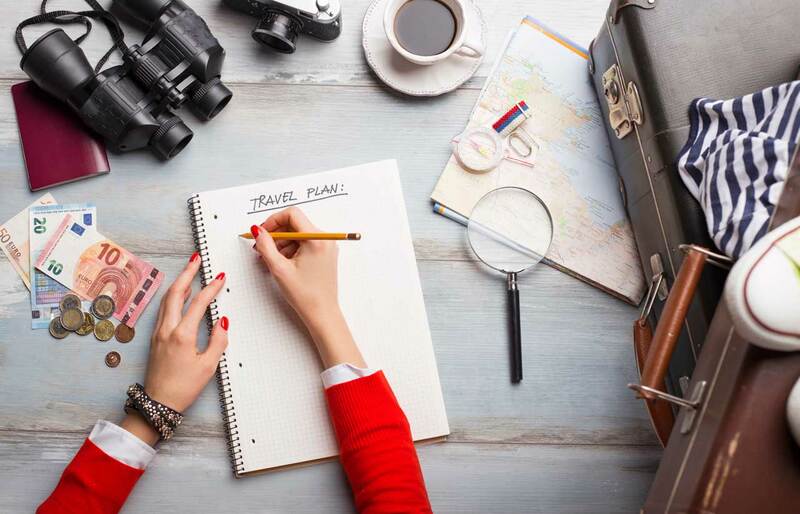 You can find plenty of benefits by taking the service of a travel agent, and they help you design the entire trip based on your preferences. 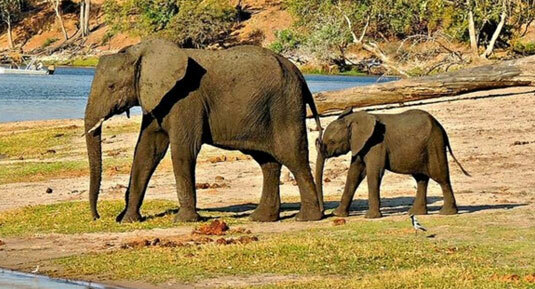 So, plan your entire safari holidays hassle-free and more enjoyable by hiring a travel agent.